Telephone Testing using latest electroacoustic test methods – Analog or Digital. 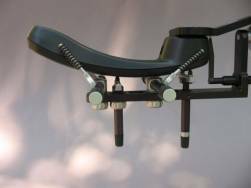 Hearing Aid Compatibility - HAC Testing. 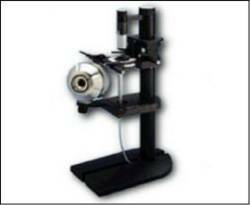 We have the specialized acoustic measurement equipment needed to test telephones. Digital terminals require specialized test techniques and test interface circuits. Echo, delay, and vocoder artifacts become major factors impinging on voice quality. The loss plan (loudness ratings) of a telephone must be verified to insure it is compatible with the network loss plan and to insure maximum customer acceptance. Delivering voice packets at a fast enough data rate without excessive loss, delay, or jitter is such a challenge with VoIP systems that sometimes the fundamental acoustics of the terminal are overlooked. Poor audio and acoustics of a terminal can exacerbate link problems. Algorithms such as PESQ and PSQM are sometimes employed to estimate overall voice quality (MOS score) but are they not a substitute for quantitative measurement of such metrics as frequency response, distortion, noise, echo loss, gain tracking or for live subjective testing. AFC owner, Ron Magnuson, was chair of the TIA working group that wrote the digital terminal audio standards for North America - ANSI/TIA-810A and TIA-920 - and has worked on numerous digital voice terminal designs. He has made technical contributions to TIA-810B. From an audio perspective, a wireless device can usually be treated as a digital terminal. Additional attention should be paid to latency and echo. Minimum volume control range and loudness. Strength and response of the audio magnetic field. Recently a new standard, ANSI/TIA-0883 “Handset Magnetic Measurement Procedures and Performance Requirements” has added additional recommendations for magnetic noise and distortion that can be a problem with digital cordless handsets. I have a great deal of experience in this field including test, research, and technical input to the standards and regulations. Acoustic shock is a loud noise from a handset, or headset, that could potentially damage a user’s hearing. Safety standards, such as those from Underwriters Laboratories, set the maximum acoustic level allowed. 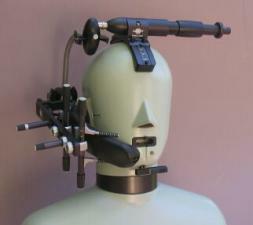 A standardized ear simulator is used for this SPL measurement.